JAKARTA: At least 70 people have been killed and thousands were forced to flee their homes after floods and landslides hit the island of Sulawesi, Indonesia, an official said Saturday. Six people are still declared missing after the disaster. 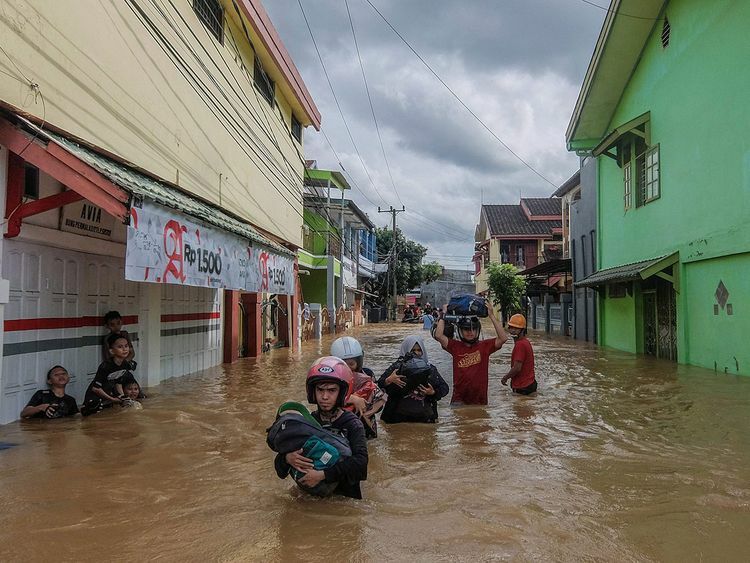 "Many evacuees have started to go home and clean up their house because the rain is no longer intense today," head of local disaster mitigation agency Syamsibar, who like many Indonesians goes by one name, told AFP Saturday. Local government have set up public kitchens and emergency medical clinics for the displaced people and aid has started pouring into the affected districts, Syamsibar said. Water has started to recede and access to transportation has slowly returned to normal. Last year, flash floods and landslides killed at least 22 people in several districts across Sumatra island, while a dozen died when an avalanche of mud and rock cascaded down a steep slope in central Java, Indonesia's main island. Indonesia is one of the most disaster-prone nations on Earth, straddling the Pacific Ring of Fire, where tectonic plates collide. Volcanic eruptions and earthquakes are common. In December, more than 400 were killed in a volcano-triggered tsunami in western Java, while thousands died in a quake-tsunami disaster around the city of Palu on Sulawesi island in September. Lombok, an island next to Bali, was rocked by earthquakes in the summer that killed more than 500 and sparked a mass exodus of foreigners from the tropical paradise.